Take a close look at your fingernails. Notice anything? You may notice that your nails are not as smooth as you once thought they were. Vertical ridges commonly appear along the length of our fingernails and are typically harmless. They often become more noticeable as we age; think of them as wrinkles in your nail. If, however, the ridges in your fingernails appear horizontally, it could be a sign of a serious medical condition. It’s important to differentiate between a potentially harmful abnormality and a harmless biological form. If you are concerned about the ridges in your fingernails, visit FastMed and let one of our physicians take a look. Are You a Good Ridge, or a Bad Ridge? Aside from aging, vertical ridges in the nails can also be caused by vitamin deficiencies or poor nutrition, but are not usually cause for concern. If the vertical ridges in your nails are accompanied by brittle, splitting nails, you could have a condition called onychorrhexis and should seek medical treatment. While vertical ridges are typically harmless, horizontal ridges in your fingernails could be a sign of a problem. A condition called Beau’s lines is a common cause of horizontal fingernail ridges. It is often associated with uncontrolled diabetes, peripheral vascular disease, and zinc deficiencies. Beau’s lines can also be caused by illnesses, such as scarlet fever, measles, mumps, and pneumonia. If these horizontal ridges in your fingernails appear sporadically, it may be merely a sign of your body fighting off an illness. Should these ridges occur repeatedly, you may want to determine if it’s due to a chronic disease. You don’t have to make an appointment with your doctor or wait for hours at the emergency room to get the care you need. 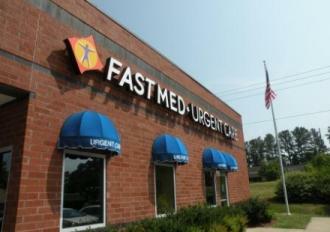 If the ridges in your fingernails have you worried, stop by a FastMed Urgent Care location near you.